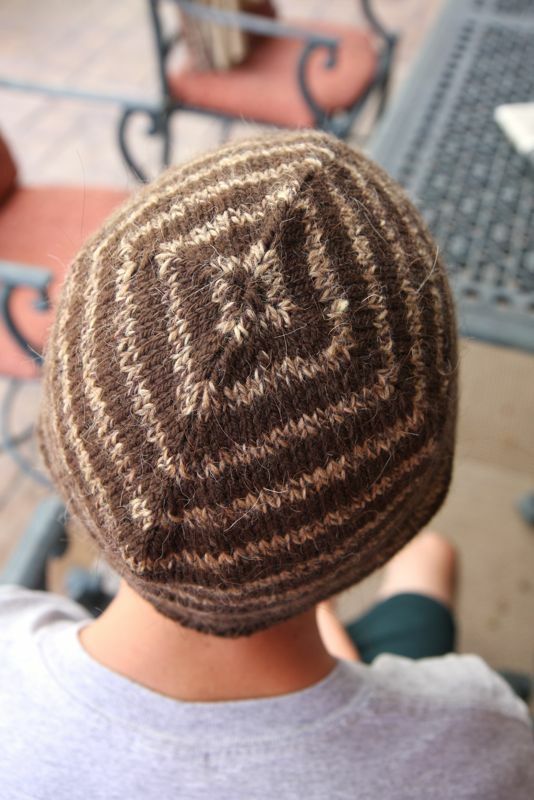 I love Jared Flood’s patterns and so I added this men’s hat to my Christmas knitting. I’ve made this for one of my nephews. I love this little hat. The decreases at the top are really nice. I used some Ecolana that I had left over from these fingerless mittens. The yarn matched nicely with the brown Shepherd’s Wool. Shepherd’s Wool is made right here in Michigan. I love this wool – if you’ve never used it, it’s worth buying some. 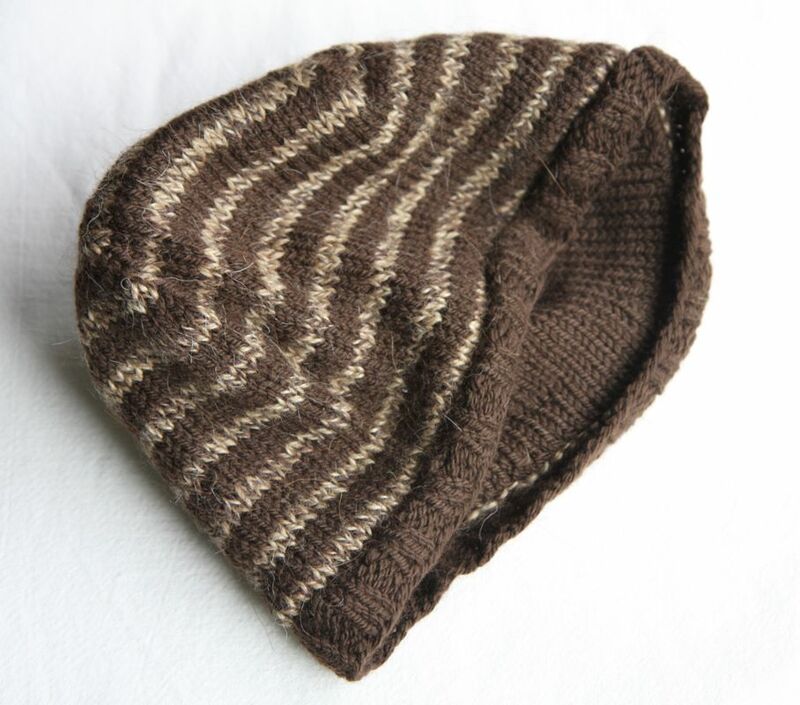 It’s a worsted that incredible soft and knits up so nicely and comes in a lot of colors. The hat was just a tad too large, so I picked up stitches and added a lining with the Shepherd’s Wool. 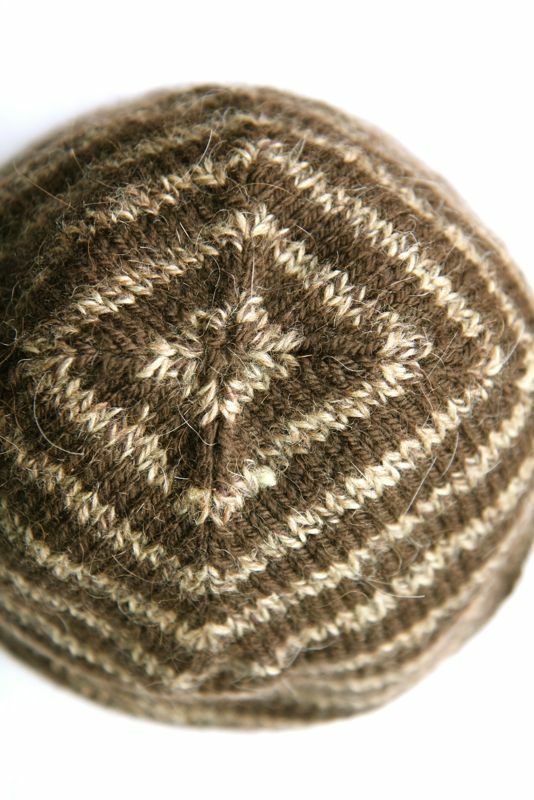 It made the hat fit perfectly and just made the hat a little nicer and extra warm – linings are so nice. That hat is cute! Thanks for sharing the pattern details for it. The wool looks beautifully warm.